March 18, 1901, Peterborough, Ontario, 4:47 AM, EST. (Source: From the Philosophical Research Society; time rectified by Paul Grell. Another chart for 2:08 AM has Church of Light as its source, apparently taken from MPH’s own chart, which was rectified by him.) Died, August 29, 1990, Hollywood, California. Doctor of Literature; 33rd degree Mason; Founder and President of the Philosophical Research Society with a Research Library in excess of 50,000 books, manuscripts and artifacts; specialist in Oriental philately; author of over 100 books and essays. Physically and mentally a large man, with remarkable memory and speaking ability. "It is only a step from boredom to disillusionment, which leads naturally to self-pity, which in turn ends in chaos." "The end of science is not to prove a theory, but to improve mankind." While many thousands of copies have sold since its initial publication in 1928, The Secret Teachings of All Ages by Manly P. Hall has previously been available only in oversized, expensive editions costing up to $500. For the first time, Hall's celebrated classic is now published in an affordable 672-page trade paperback volume that measures 9.5 x 6 x 2 inches and weighs 2.5 pounds! Literally hundreds of entries shine a rare light on some of the most fascinating and closely held aspects of myth, religion, and philosophy from throughout the centuries. More than one hundred line drawings and a sixteen-page color insert reproduce some of the finest illustrations of the original book, while reset and easier-to-read text makes this edition of The Secret Teachings of All Ages newly accessible to readers everywhere. The Secret Teachings of All Ages will tutor you on the ancient mysteries, secret societies, philosophy, myth and religion. The massive tome includes chapters on Alchemy, Pythagoras, the Rosicrucians, Qabbalism, mystic Christianity, the Tarot, the Zodiac – 46 chapters in all. Like no other book of the twentieth century, Manly P. Hall's legendary The Secret Teachings of All Ages is a codex to the ancient occult and esoteric traditions of the world. Students of hidden wisdom, ancient symbols, and arcane practices treasure Hall's magnum opus above all other works. Order now to receive a free copy of Alchemy of the Heart. 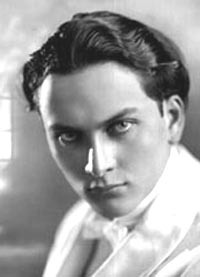 Manly P. Hall (1901 -1990), born in Peterborough, Ontario was raised in United States by his maternal grandmother. He began his studies in esoteric knowledge at a very young age and by 20 (see picture at right) was giving lectures in California. In 1934 he founded the Philosophical Research Society in Los Angeles, dedicating it to the "ensoulment of all arts, sciences, and crafts, and devoted to the one basic purpose of advancing the brotherhood of all that lives, to meet all lovers of wisdom on a common ground." In over seventy-five years of dynamic public activity, he delivered more than 8,000 lectures in the United States and abroad, and authored countless books, essays, and articles. 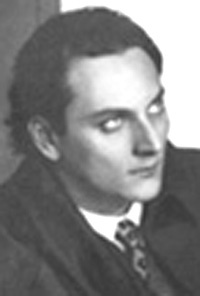 In his lectures and writings, Manly Hall always emphasized the practical aspects of philosophy and religion as they applied to daily living. He restated for modern man those spiritual and ethical doctrines which have given humanity its noblest ideals and most adequate codes of conduct. 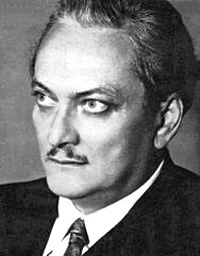 Believing that philosophy is a working tool to help the individual in building a solid foundation for his dreams and purposes, Manly Hall steadfastly sought recognition of the belief that world civilization can be perfected only when human beings meet on a common ground of intelligence, cooperation, and worthy purpose. The 1920s and 1930s were times of great religious, philosophical, and spiritual renewal and discovery in America—times much like our own. A number of outstanding teachers emerged from this period. Mr. Hall always felt that before the student could embark on an esoteric career, they must first build a sound and sane personality from which to launch such an endeavor, this he explains in his book, Self Unfoldment By Disciplines of Realization. His first publications were two small pamphlets, The Breastplate of the High Priest and Wands and Serpents. (These are still in print as part of a booklet entitled Symbolic Essays). Two books he wrote in the early 1920s, The Lost Keys of Freemasonry and The Ways of the Lonely Ones, are also available and have enjoyed numerous re-printings through the years. During this period Mr. Hall began planning his large volume on symbolical philosophy, The Secret Teachings of All Ages. He traveled extensively in 1923 and 1924, visiting many great cultural centers in Europe, Asia, and Egypt. A favorite place of Mr. Hall’s for searching out rare and ancient wisdom texts was the British Museum in London. These travels strengthened his convictions about the importance of comparative religion and deepened his understanding of significant contributions made in the interest of human spiritual evolution. Immediately upon his return, he set seriously to work on his encyclopedic outline of the Western esoteric tradition, The Secret Teachings of All Ages, which describes in some detail the most ancient theory of education, which was in the keeping of the Mystery schools. It took Mr. Hall six years to complete the work on the book and raise the enormous sum of $100,000 in 1928 necessary to print the first edition. During this time he had a brief career on Wall Street, the outstanding event of which was witnessing a man depressed over investment losses take his own life, of this period he wrote. “My fleeting contact with high finance resulted in serious doubts concerning business as it was being conducted at that time. It was apparent that materialism was in complete control of the economic structure, the final objective of which was for the individual to become part of a system providing an economic security at the expense of the human soul, mind, and body. I felt strongly moved to explore the problems of humanity, its origin and destiny, and I spent a number of quiet hours in the New York Public Library tracing the confused course of civilization. With a very few exceptions modern authorities downgraded all systems of idealistic philosophy and the deeper aspects of comparative religion. Translations of classical authors could differ greatly, but in most cases the noblest thoughts were eliminated or denigrated. Those more sincere authors whose knowledge of ancient languages was profound were never included as required reading, and scholarship was based largely upon the acceptance of a sterile materialism. Fortunately, since contemporary scholarship had little regard for the wisdom of the past, there was no premium on the earlier texts. As a result I assembled a fair collection of the works of those forgotten sages to whose labors the world owes a tremendous debt of gratitude.” (from The Secret Teachings of All Ages). In 1934 Mr. Hall founded the Philosophical Research Society, dedicating it to the ensoulment of all arts, sciences, and crafts, and devoted to the one basic purpose of advancing the brotherhood of all that lives, to meet all lovers of wisdom on a common ground. The society still hosts a wide range of lectures, seminars, workshops and performances on philosophical subjects and runs a bookstore and library. Located in the Los Feliz area of Los Angeles since its inception, it has for decades been a place of learning for all spiritual traditions and was designated a Cultural Site by Los Angeles City Council in 1994. In 1990 Mr. Hall was recognized as an honorary 33º Mason (the highest rank possible in the Scottish Rite). To understand this honor we observe that others on this list are former President Gerald Ford, Norman Vincent Peale, Senator J. Strom Thurmond, and Gene Autry! No doubt this honor is due to Mr. Hall’s lifelong study of the philosophical basis of Freemasonry, writing several books on the subject, The Lost Keys of Freemasonry, Masonic Orders of Fraternity, Freemasonry of the Ancient Egyptian, The Secret Destiny of America, and his belief our continent was set aside for a great experiment of enlightened self-government by ancient philosophers, and that the seeds of this plan for the founding of America were planted one thousand years before the Christian era and is partly revealed in the symbolism of the Great Seal of the United States. “Thousands of years ago, in Egypt, these mystical orders were aware of the existence of the western hemisphere and the great continent which we call America. The bold resolution was made that this western continent should become the site of the philosophic empire. Just when this was done it is impossible now to say, but certainly the decision was reached prior to the time of Plato, for a thinly veiled statement of this resolution is the substance of his treatise on the Atlantic Islands.” (from his book, The Secret Destiny of America). However to allay any conspiracy enthusiasts, it should be clearly stated that PRS is an entirely separate and independent organization with no links to the Masonic movement. Surely it must be a measure of the man, that Mr. Hall never used PRS as a recruiting station for Masonic membership, and what he held important was the inner philosophical tradition of Masonry. Of all the adepts in history perhaps Mr. Hall’s favorite was Sir Francis Bacon, Viscount St. Albans, whose genius still shines down to us through the centuries. It was his sincere belief that Bacon, a Rosicrucian Initiate, was the real author who penned the Shakesperean plays, for what has come to be known as the Bacon-Shakespeare-Rosicrucian Controversy. “The philosophic ideals promulgated throughout the Shakespearean plays distinctly demonstrate their author to have been thoroughly familiar with certain doctrines and tenets peculiar to Rosicrucianism; in fact the profundity of the Shakespearean productions stamps their creator as one of the Illuminati of the ages. Most of those seeking a solution for the Bacon-Shakespeare controversy have been intellectualists. Notwithstanding their scholarly attainments, they have overlooked the important part played by transcendentalism in the philosophic achievements of the ages. The mysteries of superphysics are inexplicable to the materialist, whose training does not equip him to estimate the extent of their ramifications and complexities. Yet who but a Platonist, a Qabbalist, or a Pythagorean could have written The Tempest, Macbeth, Hamlet, or the Tragedy of Cymbeline? Who but one deeply versed in Paracelsian lore could have conceived A Midsummer’s Night’s Dream?” (from The Secret Teachings of All Ages). 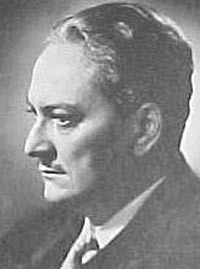 Writing about the life of Manly P. Hall is no simple matter, as he was unremittingly prolific in all his endeavors. Mr. Hall authored over two hundred books on occult subjects ranging from works on astrology, the Bible, Tarot, dreams, mysticism, Eastern and Western philosophy, religion, psychology, symbology, and reincarnation, plus hundreds of essays and a monthly magazine published called the PRS Journal. Over the course of six decades he delivered eight thousand lectures. He spoke for up to two hours extemporaneously, weaving a mesmerizing tapestry of wisdom. He was recognized both in the United States and in Europe by rare book-dealers as a knowledgeable collector of philosophical treatises and hermetic/alchemical manuscripts, some dating back to the fifteenth century. His collection of books brought about the creation of the PRS Library, which is still visited by scholars today and is perhaps unique in the US. Mr. Hall loaned books on Alchemy from his collection to Professor Carl Jung when he was writing his now famous book entitled Psychology and Alchemy. Many people admired and respected this man for many individual reasons. He was well-traveled, having trekked and collected throughout the Far East; it was fun to hear his marvelous travel stories. Some knew him as an internationally famed stamp collector, many were charmed by his childhood memories from his book Growing up with Grandmother; but always he spoke to people with dignity and respect, never trying to overwhelm them with his encyclopedic knowledge of the spiritual traditions. He championed the value of an idealistic philosophical education for all in the classical tradition of Pythagoras, Paracelsus, Lord Bacon, Plato, Socrates, and all the philosophers of history who believed in a rational world soul. He wanted nothing more than to assist the great philosophers of history to fulfill their honorable plans for the nation and the planet. A prime example of the visionary Balsamic Moon type, Hall had Sun in Pisces, Moon in Aquarius. He earned a Ph.D. in literature, was a 33rd Degree Mason, was a Rosicrucian initiate, and wrote over 200 books. BIRTH AND DEATH DATA: AstroDatabank classes his data as DD because there are conflicting reports. The following information was provided by the Philosophical Research Society to Lois Rodden. He was born on March 18, 1901, in Peterborough, Ontario, Canada, between 5:00 and 6:00 AM, but rectified to 4:57 AM, which would give him Aquarius rising as well. He died on August 29, 1990, in his long-time residence of Hollywood, California, at the age of 89. On June 8, 2004, Will Dotson wrote to this Memorial, "Manly P. Hall was born at 6:02 AM and not the time mentioned. He is a double Pisces.I have personally retified Manly's chart from a list of all the major events in his life. After I told Manly his correct time, some years later Manly found a slip of paper in one of his drawers where his mother had written his time of birth. The time I had given Manly was the same as his mother's."